This autumn, Tudor and Elizabethan National Trust properties open their doors for the premiere of OperaUpClose's new English version of Donizetti's Maria Stuarda. 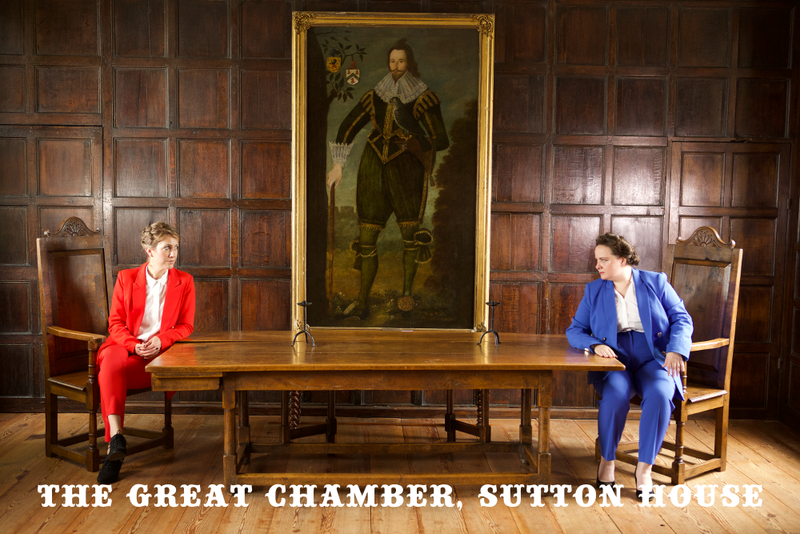 These intimate and up close, concert-style performances will be taking place at Sutton House (Hackney), Osterley Park & House (Isleworth) and Canon's Ashby (Northamptonshire) between 8 Sept - 6 Oct. Seating is limited and performances are expected to sell out far in advance, so book now to avoid disappointment! *This is an outdoor performance, partially covered. **This ticket price includes a complimentary drink, a post-show talk with the Creative Team and the opportunity for an audience with Mary, Queen of Scots and Elizabeth I.
OperaUpClose is proud to partner with the National Trust properieties of Osterley Park, Sutton House and Canons Ashby on the premiere of our new English version of Donizetti's Maria Stuarda. Each site offers its own unique elements of Tudor history as well as a rare opportunity to experience a legendary conflict that went on to define a nation – within the very walls that witnessed the birth of the Elizabethan era. So, you could even experience the performance at all three historic properties, each with their own story to tell.